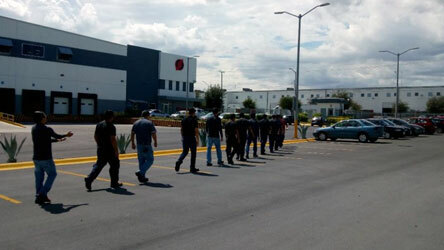 Hourly and salaried employees from the Strongwell facility in Mexico recently participated in first responder training. 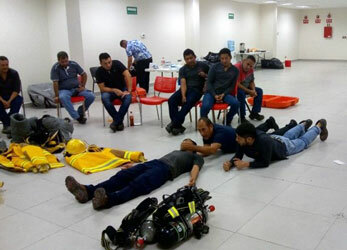 In total, almost forty employees trained with the Fire Chief of the State of Nuevo Leon in search and rescue, first aid, and hazmat containment best practices, in accordance with the mandated regulations by the Ministry of Labor and Welfare. This training was a repeat / refresher of the one completed back in 2016. One of the measured exercises was complete plant evacuation. This year’s evacuation was achieved in two minutes and eleven seconds, which was well under the three minute time limit allowed by regulations and an improvement from two years ago. As a testament of continuous safety training, the employees have been committed and engaged in identifying and addressing potential safety risks. The outcomes of this approach has yielded three consecutive years of zero lost time occurrences and no hazardous materials spills. Congratulations to the team in Mexico for their continued safety achievements.